I went to the mall with the companion one weekend only to find out that SM Manila is having a Back-To-School Weekend Sale! And I was like, OMG! You know, I have this love-hate relationship with Mall Sales. I love them because of all the great deals I get but you know, I hate it coz I tend to buy loads!!! Ang hirap tanggihan ng mga cutie patoosie stuff especially if they are on 50% off. Dabah??! And so, what did I got for myself on that Weekend Sale? These lovely Celine (CLN) bags!!! I have been looking for a nice “mall bag” for quite some time now. I’m using my office bags every time I go to the mall so I either end up carrying loads of stuff or have an extremely huge bag with only my wallet and lipstick inside plus loads of receipts. I want something roomy enough to carry my money, my cards, my compact powder, lipstick, phone, portable charger and cord (so I wont go empty batt anytime soon). But I want a small sling bag so I won’t get distracted as I walk around the mall. So imagine how happy I am when saw these babies on Celine’s (CLN) shelves!! Plus factor that it’s black. I can wear it with anything! You know me, versatility is always the key. The bag is on 20% off right off the shelf. But if I get 2 bags, that’ll qualify me for a 50% off! Score!!!! Eh diba nga ang golden rule - if it’s mura you go grab it! And so I asked for the companion’s help in choosing another bag for me. Anyway, come to think of it. 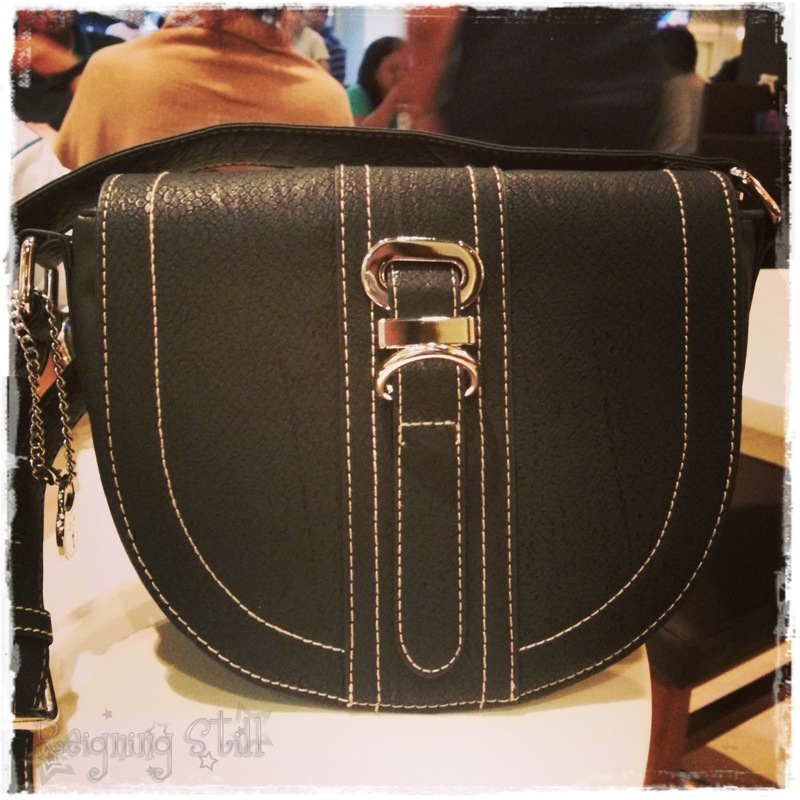 I need another “office bag” coz I have been using the Nine West and the Ayla bags for ages. And I believe that in order for your bags to last longer, you must not use them every single day. Dapat palitan. Pagpahingahin din pag may time. And so this is what I got…. 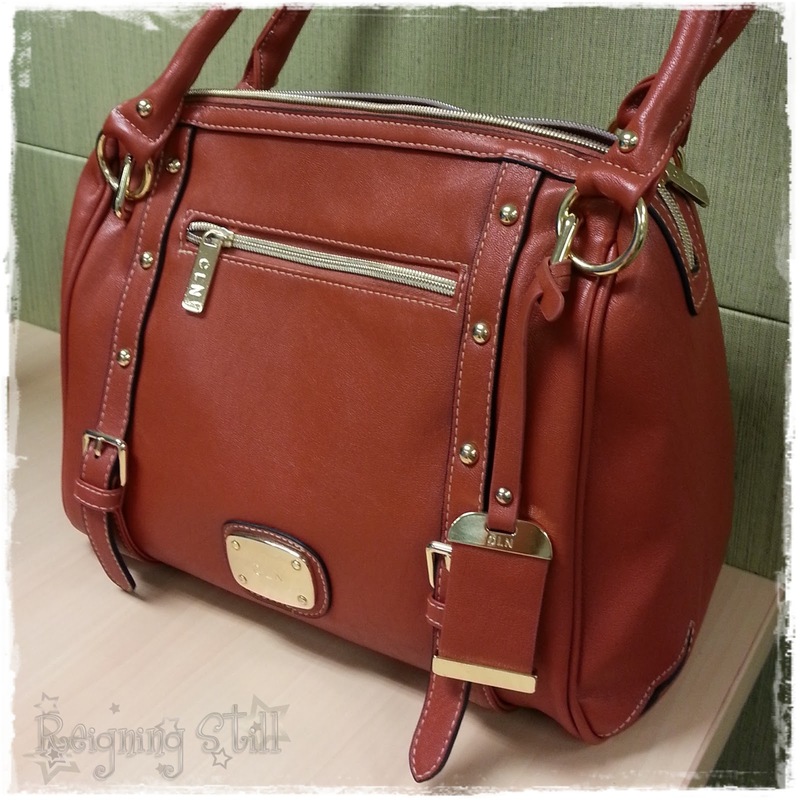 I opted for this bag that comes in orangey tan color. It’s not too loud so I can still pair it with almost everything in my closet. And most of all, its not black! I just realized that most of my beloved bags are black. The Nine West and the Ayla bags are both in black so I steer clear from it this time. The bag is medium sized but is SUPER roomy. It can carry most of my stuff. Nagulat ako nagkasya silang lahat! I think I can do “what’s in my bag?” soon. Nyay! Anyway, I got both bags for only Php 1699!!! Major major score!! !